If you were to get the prize named after 1, it would be equivalent to a Nobel prize in which field? Also, identify the dude. 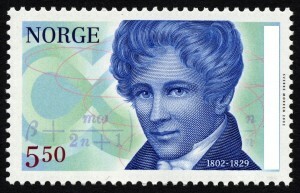 The Abel Prize for mathematics, named after Niels Henrik Abel. Niels Henrik Abel. The Abel prize in mathematics. The Abel Prize is the award in the field of mathematics. Niels Henrik Abel is the dude. Abel prize for Mathematics. The person is Niels Henrik Abel, a Norwegian mathematician. Abel Prize – Mathematician’s Nobel Prize. Named after Niels Henrik Abel.